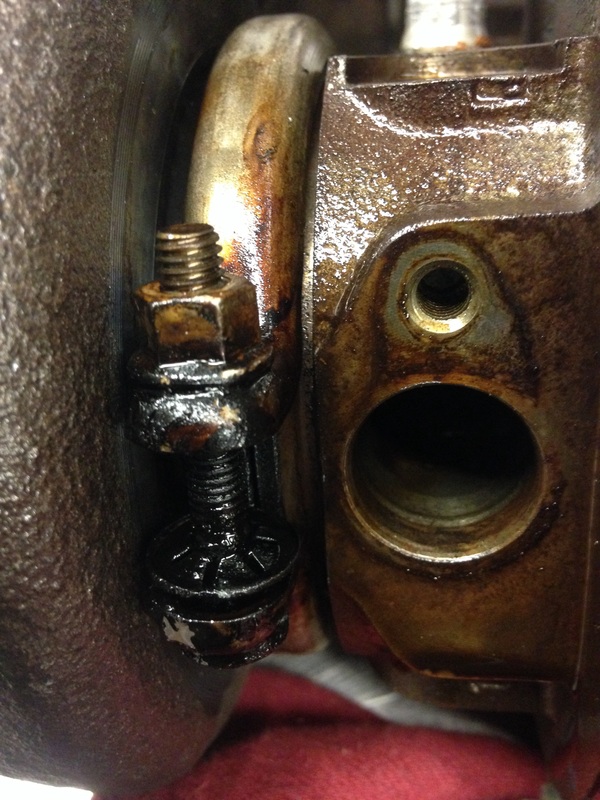 N55 turbo oil leak,,,this is the same turbo from a previous post,,,,the oil was leaking between the intake and exhaust side of the turbo,,,,the turbo was on back order and finally came in. A major problem happened while replacing the turbo,,,,this is a picture of the coolant return pipe,,,the pipe was so frozen in the turbo,,,,I couldn’t remove the pipe,,,,,as you can see I pried off the hold down for the pipe,,,,so I had to cut the pipe off so I could remove the turbo. Here a picture of the turbo coolant feed pipe,,,,this one I was albe to remove,,,,,but you can see all the corrosion around the o-ring,,,,I recommend replacing both those coolant pipe while replacing the turbo. 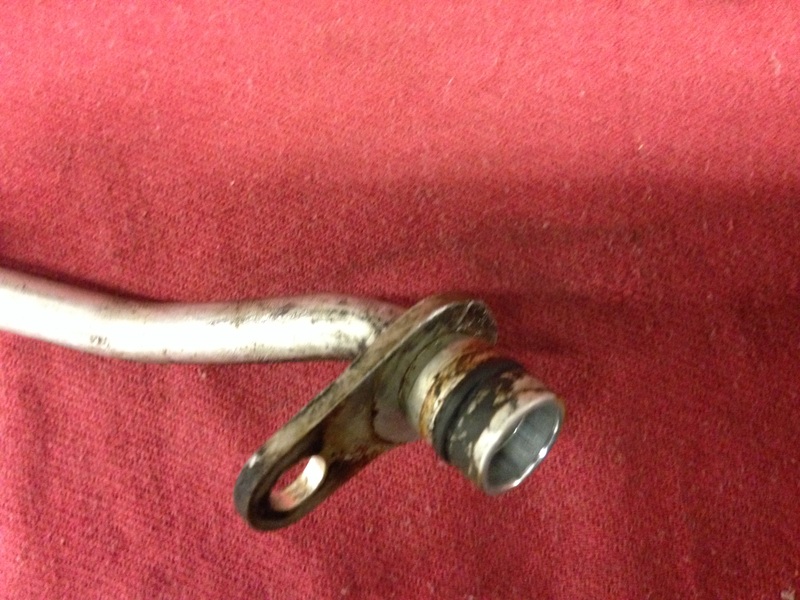 This entry was posted in Uncategorized and tagged coolant pipe, N55 turbo. Bookmark the permalink. 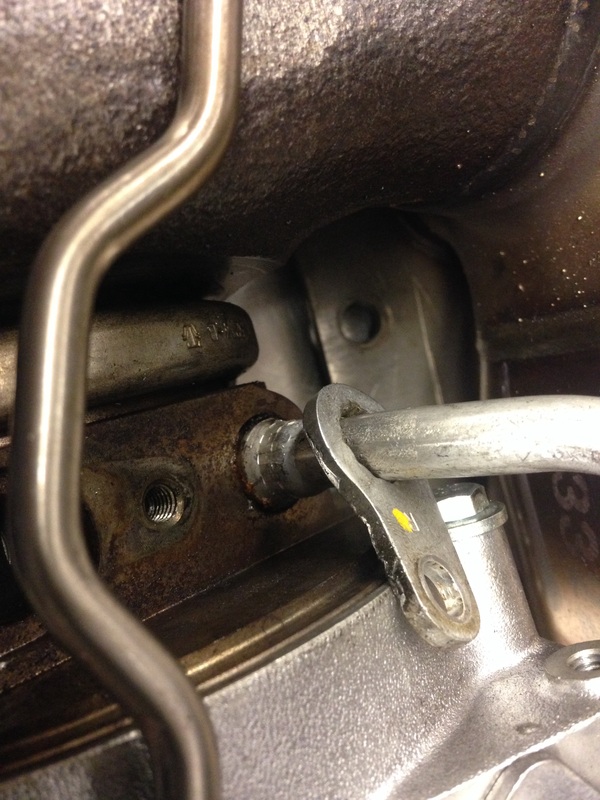 i have minor leak on a N20 x1 – seem to be the coolant pipe/line to the turbo. any tips on addressing this? Yes have them check it,,,sometimes it’s just the o-rings on the coolant hose that go bad and not the hose,,,,both the in and out turbo coolant hose sit right next to each other.